We have included this film in our program to illustrate the work and contributions of our star Marceline Day. The Library of Congress has the film "Trent's Last Case" (1929) with a missing reel, and they are ready to make a copy for Silent Hall of Fame. The cost to acquire the film will be around $1,200. You can help us achieve this goal with your tax-deductible contribution. As long as the film is not available for viewing, we have to rely on newspaper articles from the 1920ies. If you have any information about a surviving complete copy of the film please let us know. Murder mysteries seem to have a strong appeal to the picture-loving public. A year's supply of thrills and shivers, a cast that picture fans will hail with joy and the most baffling murder mystery that yet has come to the screen is "Trent's Last Case". Taken from a novel that has thrilled many thousands of readers, "Trent's Last Case", by E.C. Bentley, the film is a faithful rendition of the original story, plus the increased intensity due to the dramatic possibilities of the screen itself. A splendid cast is engaged in "Trent's Last Case", which opened at the Majestic Theatre today. Marceline Day is the star and she is supported by Raymond Hatton (who, after a long series of successful comedies with Wallace Beery, has turned to serious drama), Raymond Griffith ("'He of the High Hat"), Lawrence Gray, Donald Crisp and Nicholas Soussanin. Taken from E. C. Bentley's novel of the same name, the picture is a faithful reproduction of the original, with the added intensity that the screen alone can give. 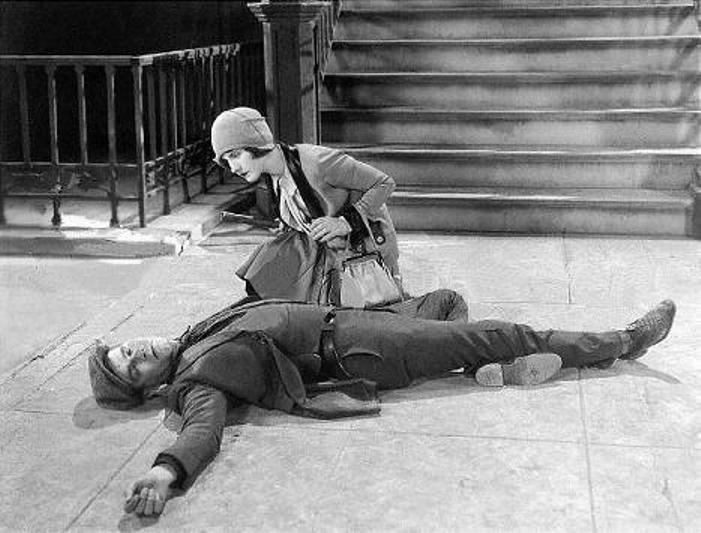 Marceline Day in "Trent's Last Case" (1929), director Howard Hawks.